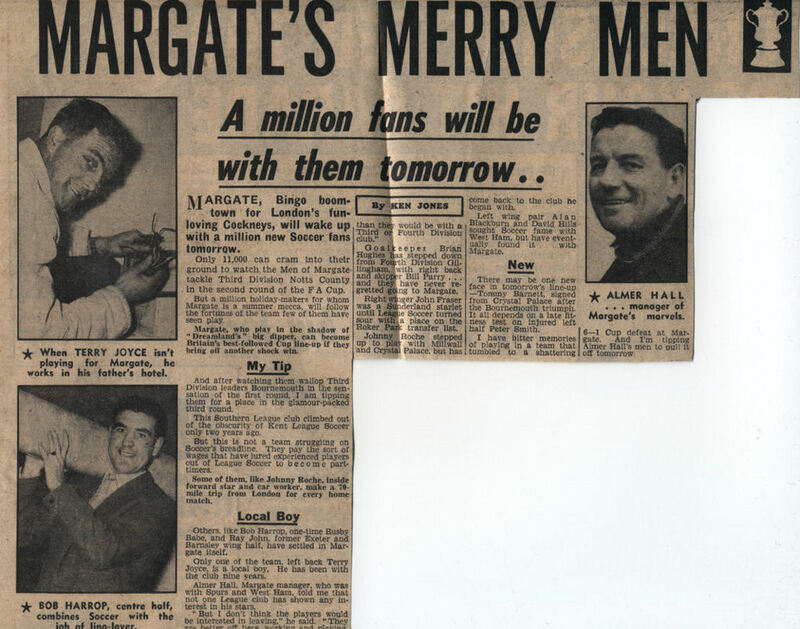 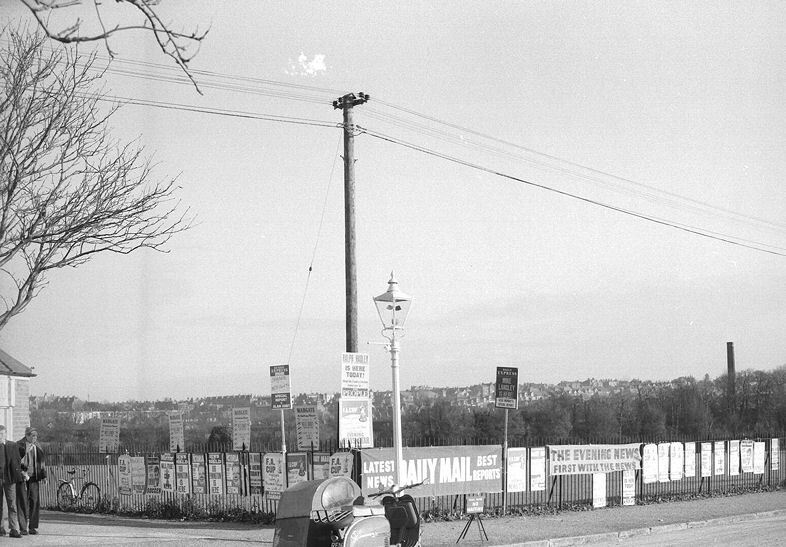 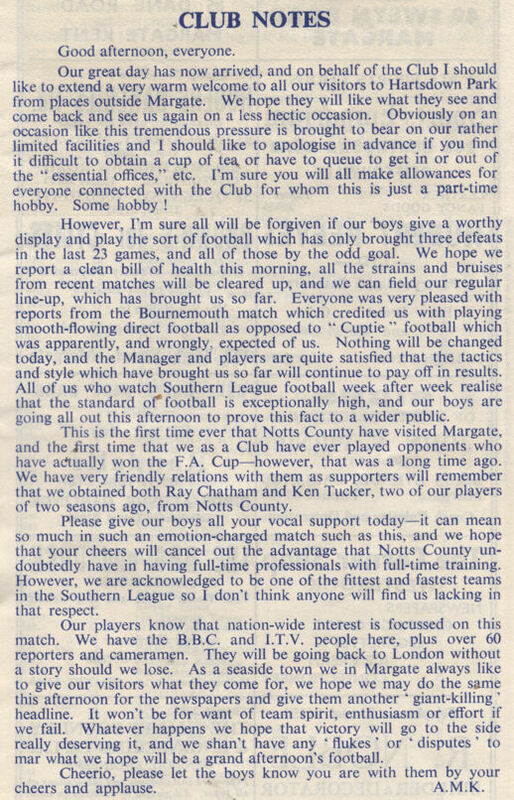 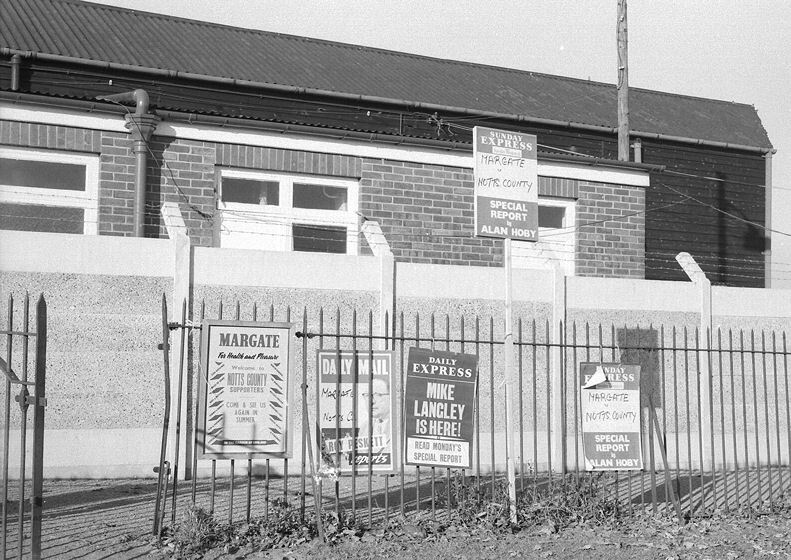 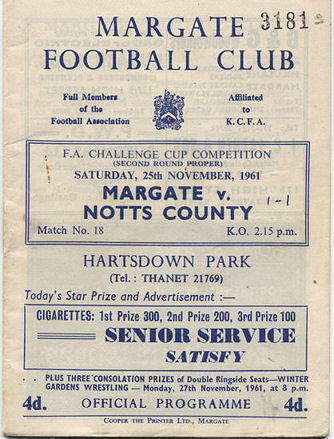 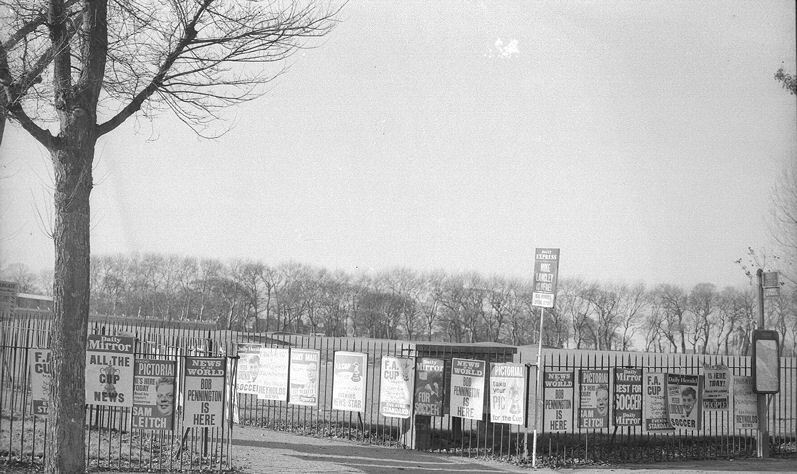 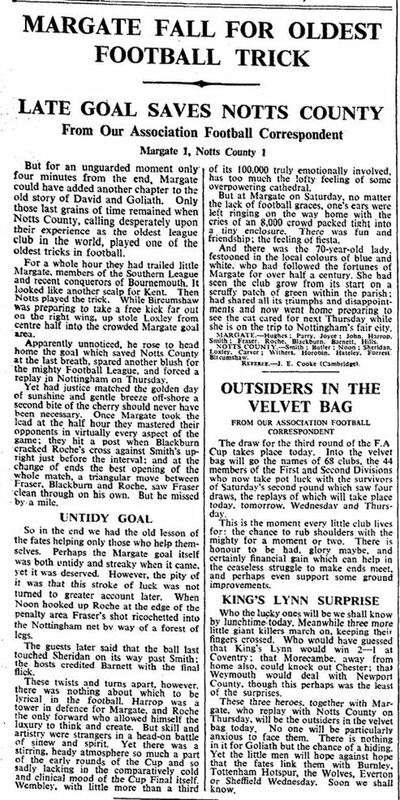 Two weeks after the famous win at Bournemouth there was another big FA Cup tie for Margate supporters to savour as Third Division Notts County visited Hartsdown Park for a 2nd Round game. 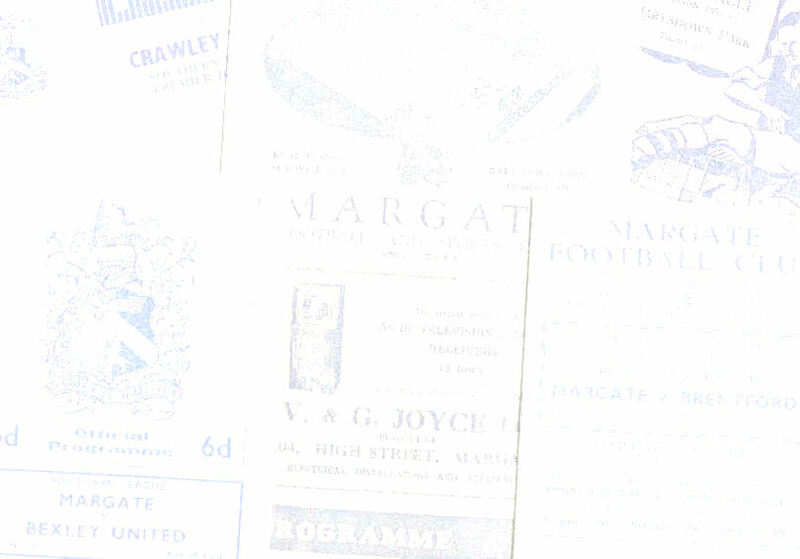 Another shock was on the cards when recent signing Tommy Barnett was credited with giving Margate the lead after half an hour - film footage indicates a clear own goal - but four minutes from time County's centre-half Bert Loxley headed his side level and sent the tie to a replay. 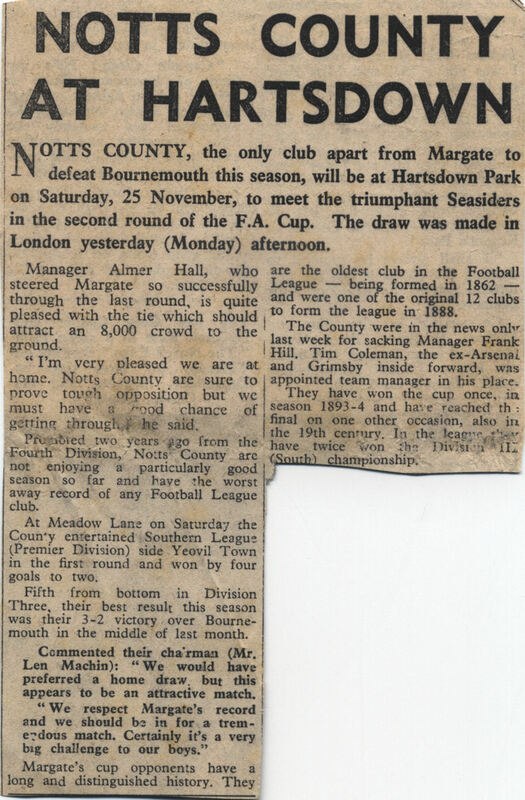 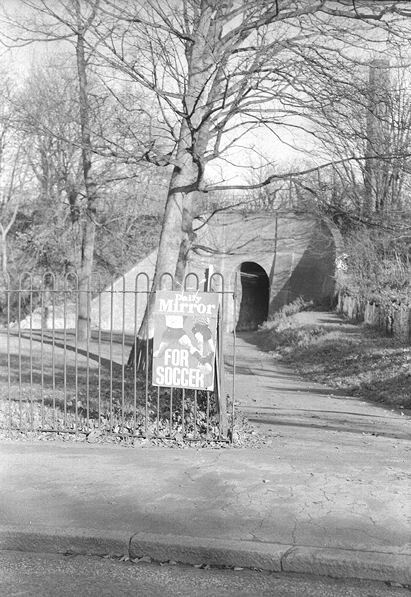 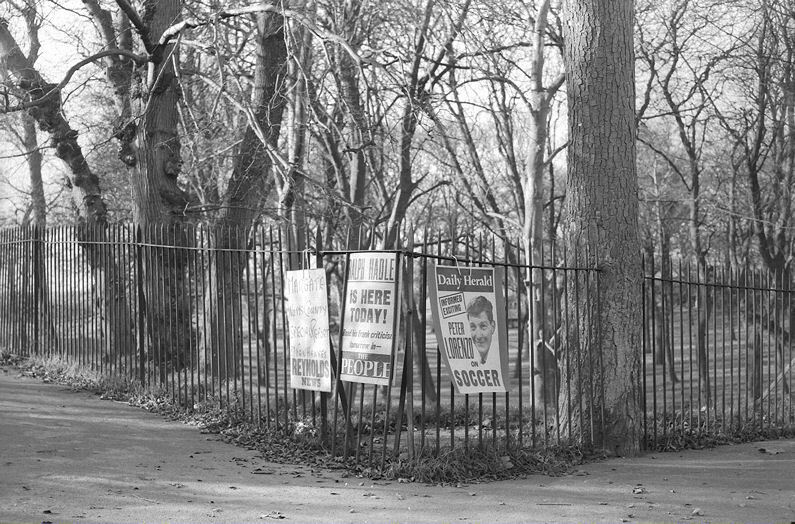 The film from the match could be found on the ITN news archive site in 2012 and at that time clicking here would take you to the footage. 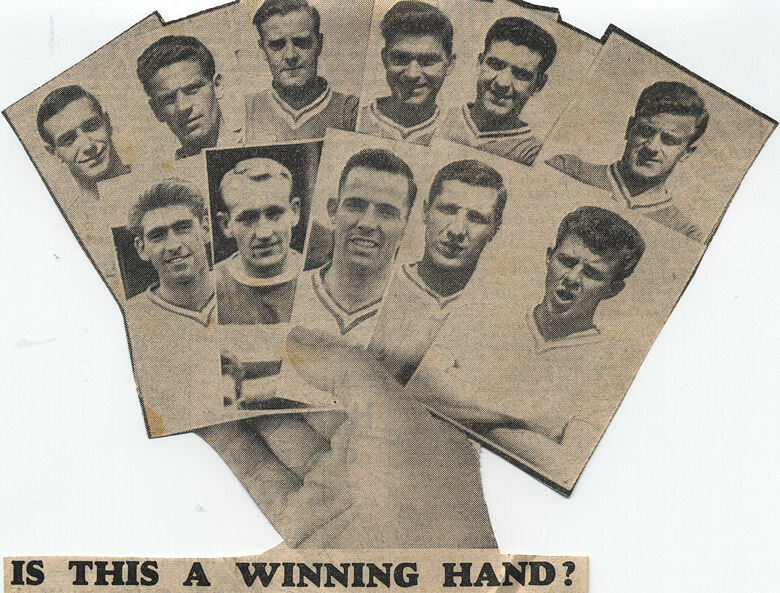 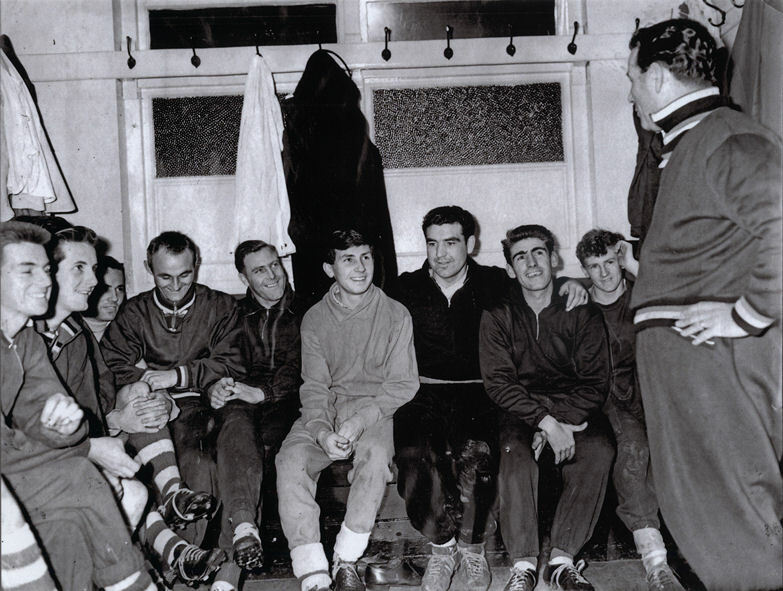 From left to right: Tommy Bing, Peter Thorpe, Alan Blackburn (partially hidden), Gordon Walton, Terry Joyce, Arthur Bridger, Bob Harrop, John Fraser and Stan Forster. 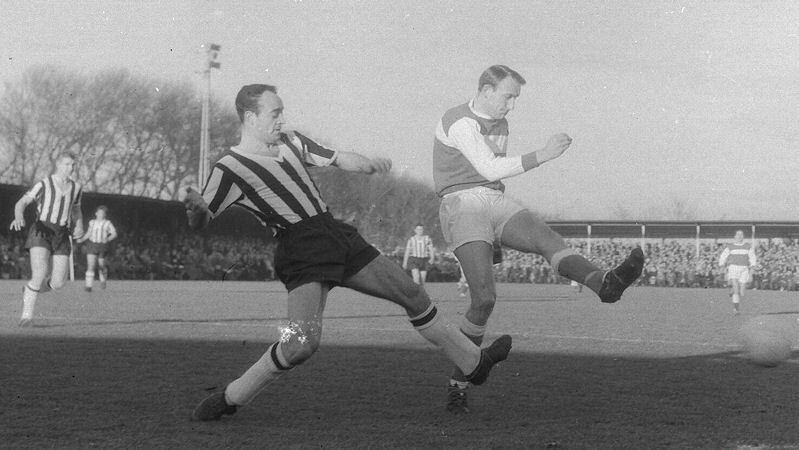 Above: Alan Blackburn (left) and Tommy Barnett (right) in action. 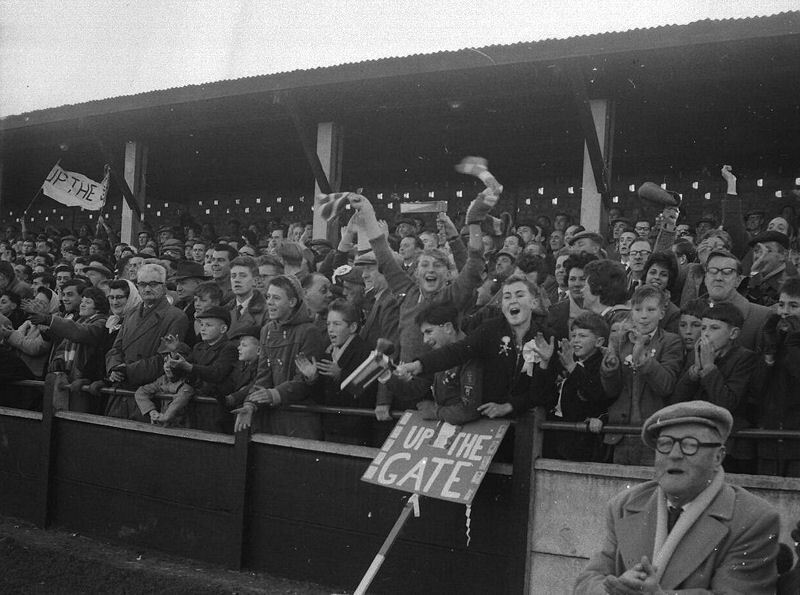 Above: Tony Hateley rises above Bob Harrop as Peter Smith (left) and Ray John (right) look on. 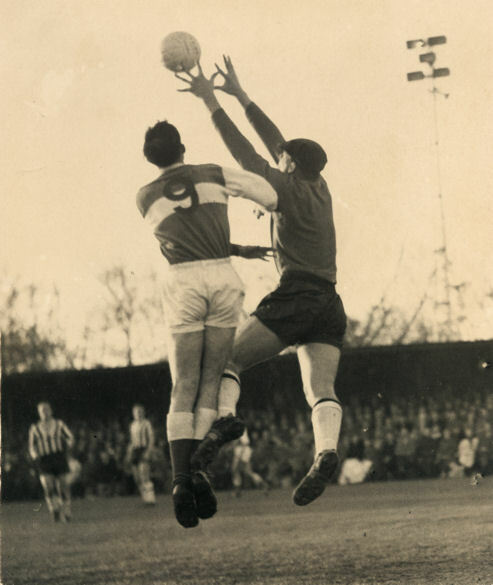 Above: Bob Harrop (left) and keeper Brian Hughes watch a shot fly over. 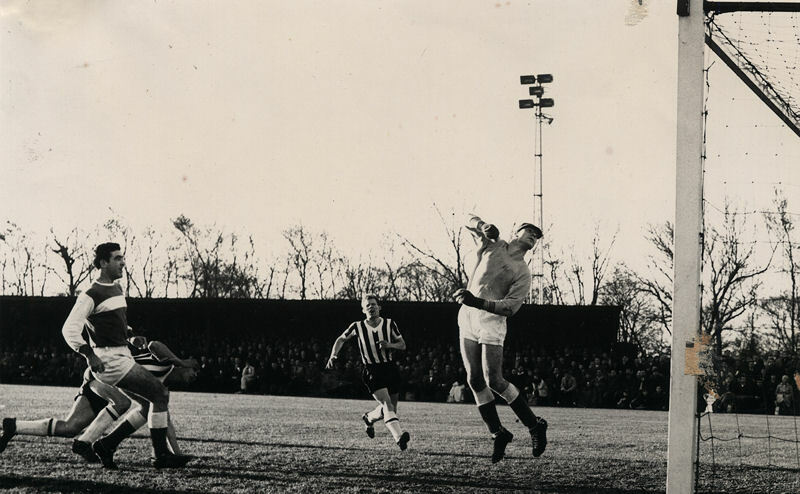 Above: A Notts County shot misses the target as Brian Hughes plunges, Bob Harrop is on the right. 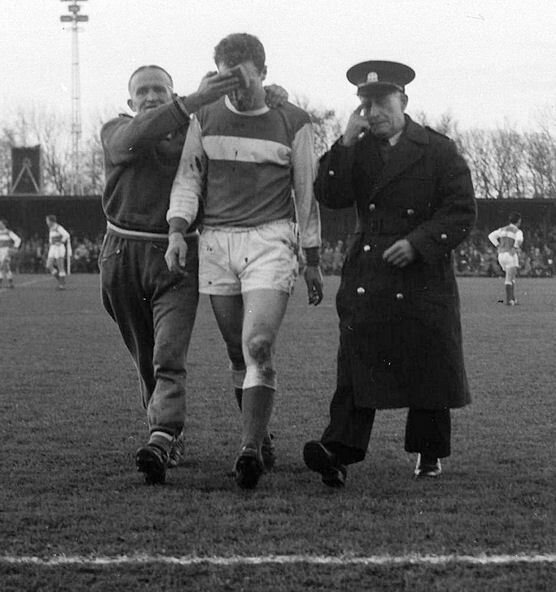 Above: Margate trainer Bob Wainwright leads the injured Peter Smith off. 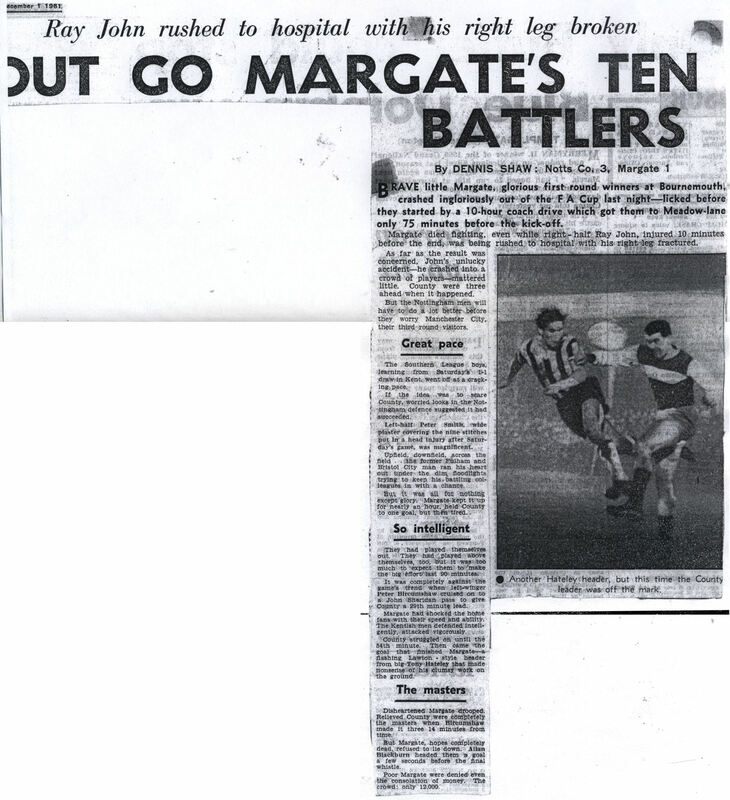 Above: Margate on the attack, Tommy Barnett is on the right. 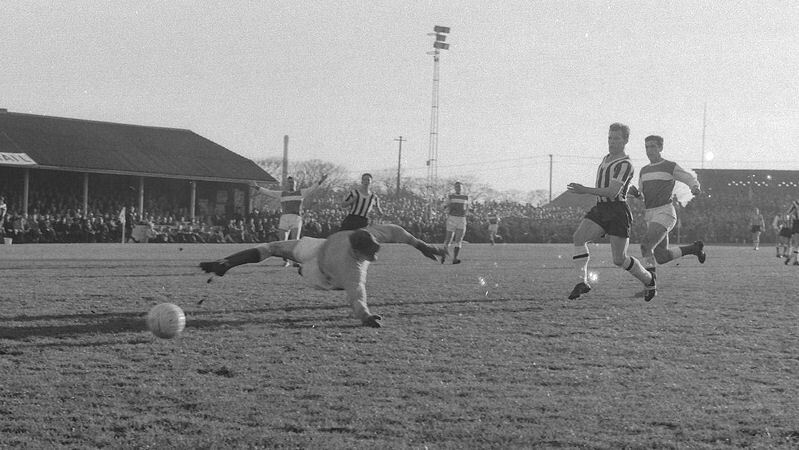 Above: Terry Joyce lunges in as Margate defend. 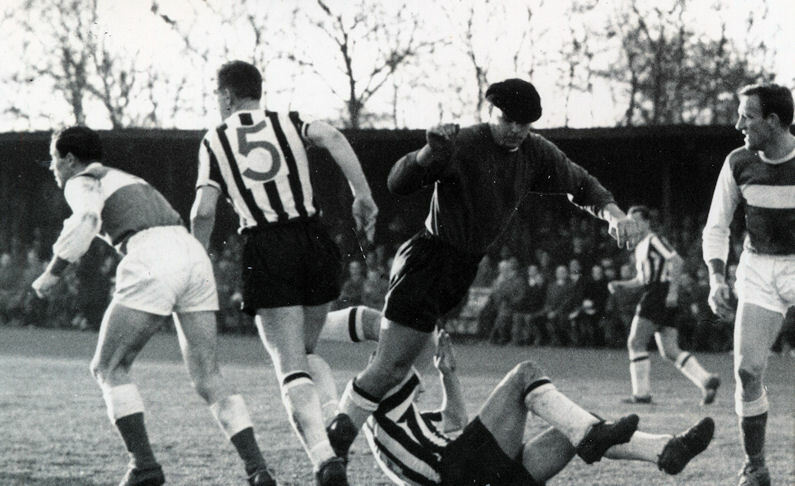 Above: The Notts County keeper is beaten but a Margate shot goes wide. 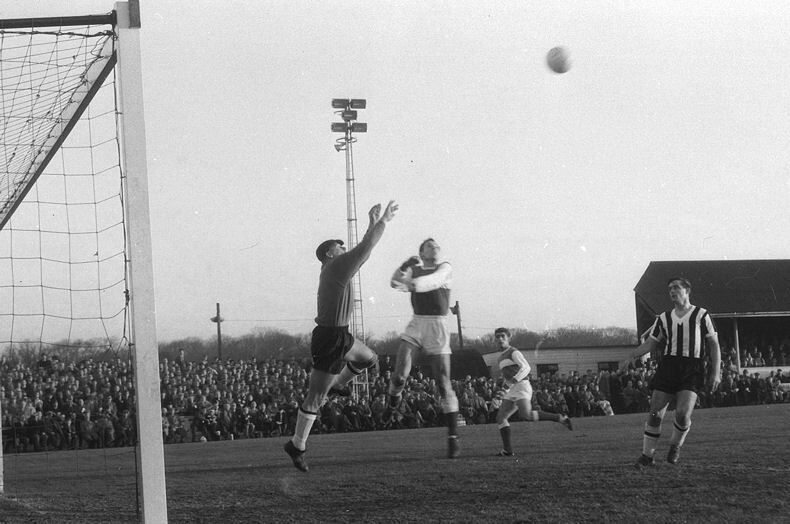 Above: Alan Blackburn goes up for a header. 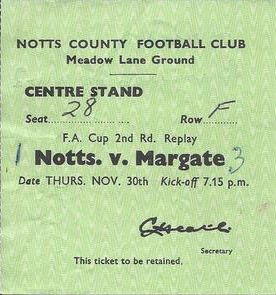 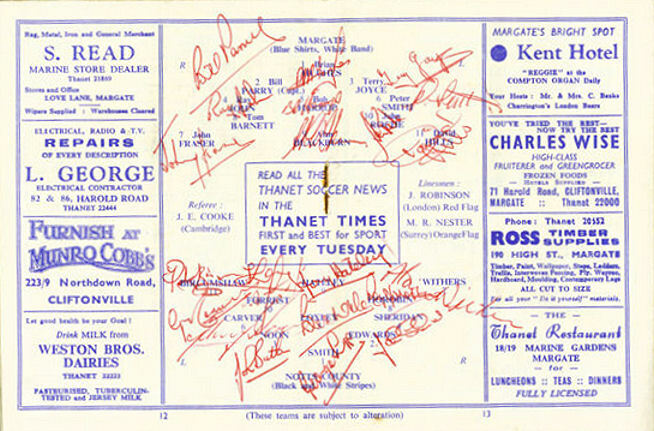 Margate's trip to Meadow Lane for the replay took ten hours and Alan Jones replaced Johnny Roche in the line-up. 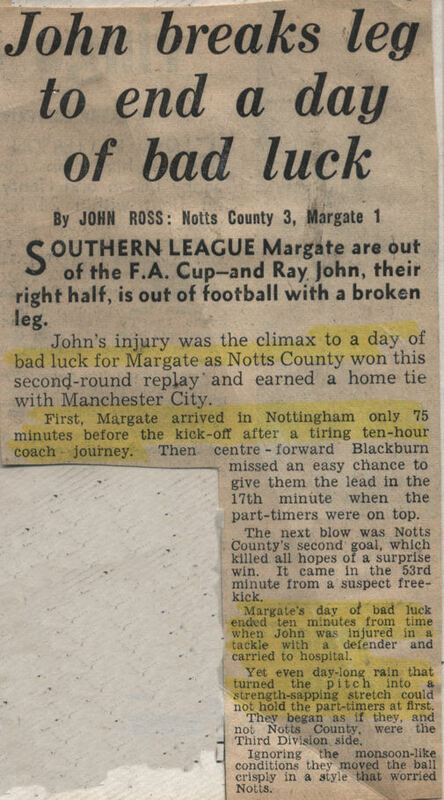 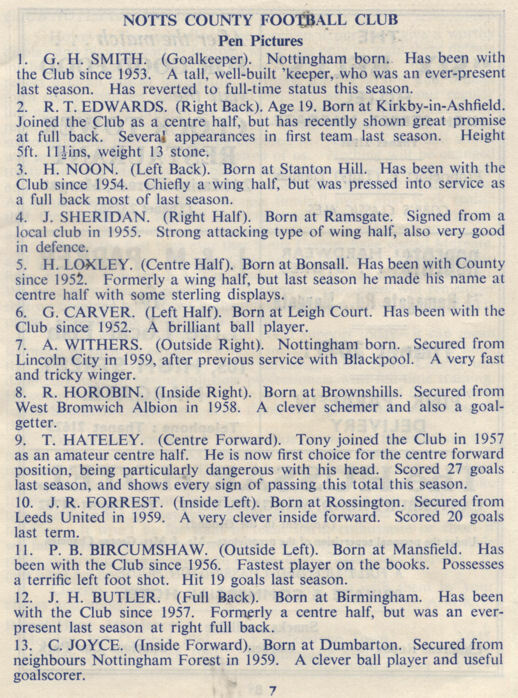 County went ahead with a goal from Peter Bircumshaw just before the half hour mark and in the 54th minute big centre-forward Tony Hateley, father of future England player Mark Hateley, headed a second goal. 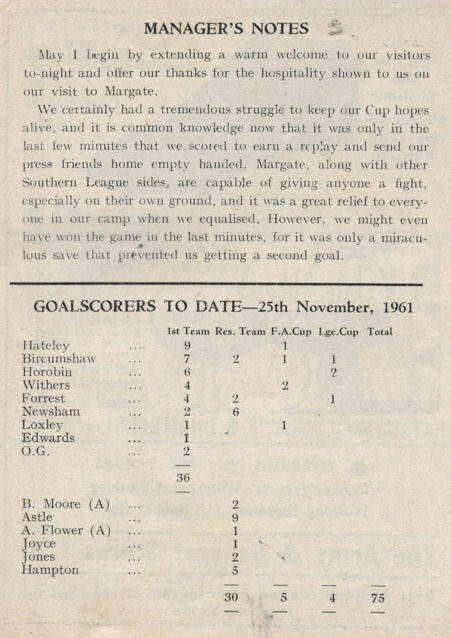 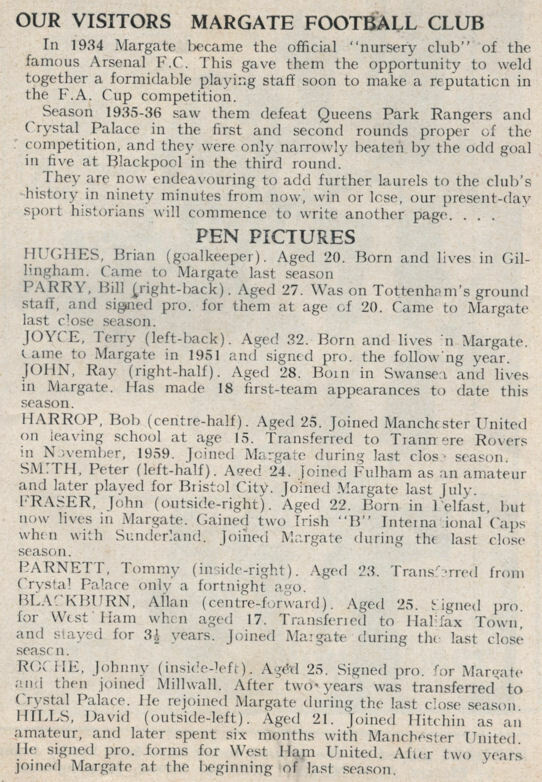 With 14 minutes to go Bircumshaw got his second of the night and shortly afterwards Margate lost Ray John to a broken leg. 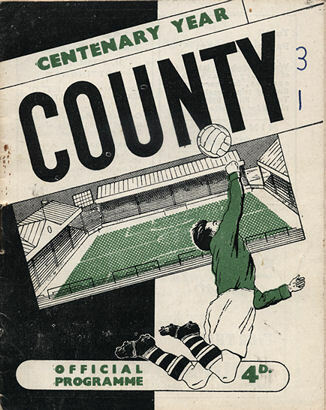 Alan Blackburn got a late consolation but it was County who went on to take on First Division Manchester City at home in the 3rd Round.